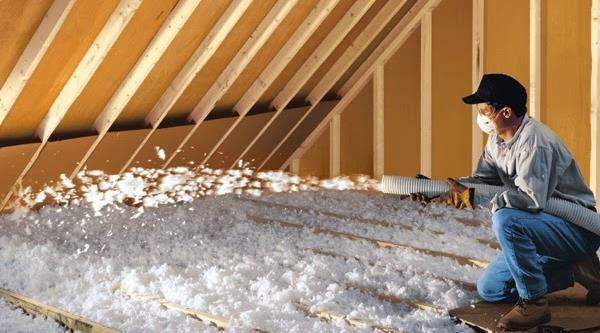 As the dog days of summer begin to grow shorter, cooler temperatures cause homeowners’ to start thinking about installing new home insulation. Properly installed and maintained weatherproof material is a key component to reducing energy use, and keeping the home comfortable. Few people give very much thought to what is protecting their homes and families from the outside elements. The insulation found in the walls of our homes, for instance, is something that falls into the “out of sight – out of mind” category. Once you discover, however, that even something as innocuous as tiny cracks around electric outlets can be responsible for as much as 2% of your homes energy loss, you begin to see the importance of the bigger picture when t comes to protecting your home, and your wallet from the outdoors. Jackson Exteriors wants to help you save money with these 5 easy to understand tips to consider when it’s time to install, or replace the existing insulation in your home’s walls, basements, and crawl spaces. Conduct a Home Energy Audit – It’s one thing to know a little bit about improving your home’s energy efficiency. But, to truly recognize all of the savings you could be enjoying, try using a home energy audit checklist to find the areas in your home that need the most attention. 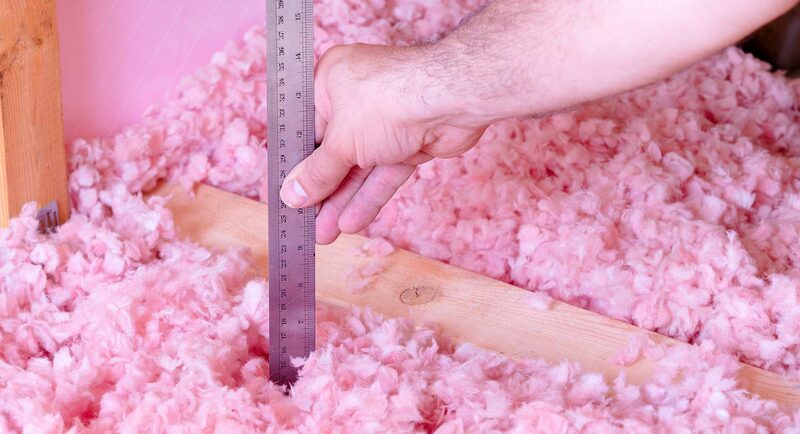 Understanding R-Value – Educated homeowners know that there is much more to purchasing and installing insulation than just grabbing whatever is available at the local hardware store. The energy efficiency for insulating material is rated by the R-Value. The higher the R-Value the more resistant it is to heat flow. It is important to understand that the R-Value of weatherproofing material is more important that how thick it is. Where to Insulate – A good rule to follow when creating energy efficient barriers against the outdoors is to separate any heated space from any unheated space with some type of insulation. Your walls are an obvious location, and will cover most of the homes surface area, but don’t forget about floors between cold damp crawl spaces, and unheated basements areas, as well. Once you have the big stuff covered, remember to look for the smaller efficiency killers. Areas like electric outlets, and air ducting are good energy loss examples. Types of Insulating Materials – Where you are planning to insulate is an important question to ask when choosing the type of material you should use. There are many options to choose from, so you will have to do a bit of research to figure out what is best for your situation. Some of the more common types are foam board, fiberglass, mineral (rock wool), and various types of spray, or injectable materials. This is where having an expert technician like you’ll find at Jackson Exteriors will come in handy. There is a lot to consider when making the right selection and we offer free estimates to help make the process easier for you. Choose the Right Contractor – You want the best for your home, and that means hiring the best contractors for your home projects. It is easy these days, to spend a bit of time researching online to find a company with the best reputation for qualified services and excellent customer care in your immediate area. Jackson Insulation and Exteriors is fully insured, and offer a 5-year warranty on all workmanship. Contact us today for a free estimate, and let us show you how we can save you money on our top-quality service, and improve your home’s energy efficiency by as much as 30% or more!